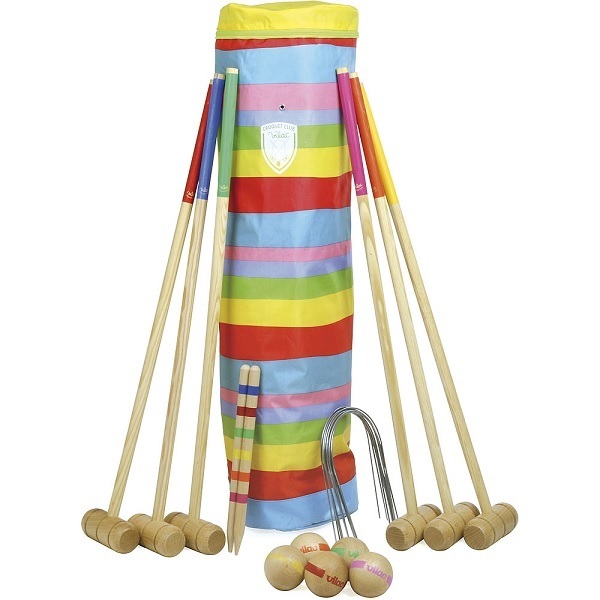 Large model 6 player wooden croquet set, complete with golf bag. Suitable for ages 5 and up. Wood certified from sustainable forests. Made in France. - Wood from sustainably managed forests.